From the intersection of Meriwether Rd and Hwy 212, go south for 0.5 mile. Turn left on a field road and go 0.6 mile. You will go across a field and go through the woods. A guide or a GPS is recommended. Permission is required for access. 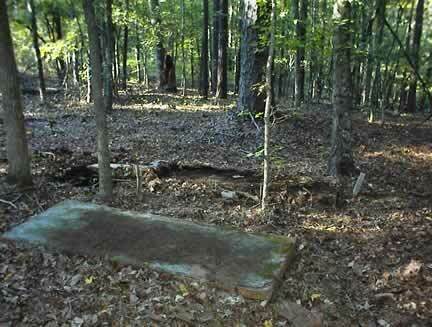 This cemetery is in the area of the old Compwaller property. Age 65 years. First name spelled as "Chas" on gravestone. One slightly raised vault next to Chas. Hogan and 15-20 graves marked with stones.